December 2011: Trevor Cahill, Gio Gonzalez, Andrew Bailey, Ryan Sweeney had all been traded. 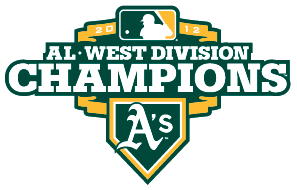 Leaving many A’s fans wondering not just how good our team would be in 2012, but just who are these players we traded for? Here are the notable players acquired in those trades: Jarrod Parker, Tommy Milone, Josh Reddick, Ryan Cook and Derek Norris. With the moves the Angels made along with the Rangers’ lineup, many pundits pick Oakland to lose 100+ games. As the depth began to shape up, there was one main thing that stood out: we had highly-regarded players all across the roster that had some big league experience but had not yet played a full season: Jemile Weeks, Parker, Milone, Reddick, Chris Carter, Josh Donaldson. We knew what we were getting from some players (Coco, Suzuki, McCarthy, Penny) but left to wonder about what will come from the other players yet to have a full season under their belt. March 2012: A’s depart for Opening Series in Japan. Many players say this trip brought the players together. After all, there were hardly any returning starters from the 2011 team. Play began with the A’s facing off against Seattle. As a interesting taste of things to come, actually a microcosm of the A’s style of play throughout the season, Game 2 of the series saw Cespedes and Reddick go back-to-back along with solid defense and great pitching. See the highlights HERE. April 2012: A’s sign 3B Brandon Inge. Knocks in 13 RBI in first 10 games and assures A’s fans with quality defense. June 2012: A’s call up 1B/OF Brandon Moss. Hits 7 HR in first 13 games with the club. Later in June, A.J. Griffin makes his MLB debut in an impressive performance against the Giants that ends with a Derek Norris walk-off HR. At the end of June, 1B Chris Carter is called up. Moss and Carter combine to be probably the best 1B platoon in all of baseball for the rest of the year. July 2012: A’s complete 4-game sweep of Yankees in dramatic fashion, proving to all of baseball that the A’s can beat any team on any day. Click HERE for highlights from the final game of the sweep. A’s go on to have the best record in baseball in July and begin to steamroll throughout the second half of the season. August 2012: Brett Anderson returns to the A’s after recovering from surgery. He seems to be almost more dominant than he was before he got hurt and proves to be a major jolt for the A’s as the season progresses. Also in August, A’s sign SS Stephen Drew to add depth to the infield. Drew plays a big part of the A’s success the rest of the year. September 2012: Some of the best games all year. As the AL playoff picture begins to take shape, Oakland fights with Baltimore, New York, Texas and Anaheim for a playoff spot. We get swept by Anaheim at home, including Brandon McCarthy going down with a scary injury. Then go on the road to sweep Seattle and Anaheim in 6 games. Then take two of three from Baltimore at home before going 4-6 on a 10-game road trip that many A’s fans thought could be the end of their magical run (3 at Detroit, 3 at New York, 4 at Texas). All of those games are why we’re fans of baseball. You take it game by game. You don’t look ahead at the schedule. You focus on the game that day, prepare for the game that day, and try to win the game that day. After the roadtrip, the A’s return to sweep the Mariners and Rangers in some of the best games and comebacks A’s fans have ever seen. You don’t know how many people I’ve talked to that said “you know, I’ve had season tickets for a long time and this was by far the best season and the most fun I’ve ever had.” I listed some of the bigger moments above and who joined the team and when, but that doesn’t begin to point out all of the ups and downs, the amazing moments and plays made all year. In April, it was more “let’s see what these boys can do.” In May-June it was “I think we may be on to something here.” In July-August it was “we can beat anyone, any day.” September and October was equivalent to the 9th round of a heavyweight fight, with A’s fans hanging on every pitch. After an amazing 2012 season, April can’t come soon enough.